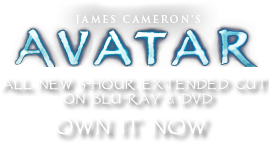 Candea inflata | Pandorapedia: The Official Guide to Pandora | Own AVATAR on Blu-ray & DVD Now! The dandetiger accumulates atmospheric gases and combines them with essential oils to produce resin, a complex plant liquid with many uses. In the plant it serves as a defense against damage by insects and disease-causing organisms. The dandetiger transports resin to the leaves, where it accumulates in glandular hairs, or trichomes, at leaf tips. At night the leaf tips glow brightly indicating the presence of the resin. As resin accumulates it is exuded from the leaf tips where it rains down on anything below. Solidified resin balls are collected and used by the Na'vi as a natural adhesive due to their mucilaginous texture. Samples of dandetiger resin have been taken to Earth for further study to evaluate its potential as a new plastic and/or a sustainable biofuel. Taxonomy Candea inflata. Root name means “sparkle.” Also named for inflated stem. Botanical Description Large tree with inflated trunk, elaborate bark, and long, slender tubular leaves in a cluster at the crown. Produces abundant resin in the trunk, which accumulates in leaf tips. When resin builds up, leaf tips glow brightly, indicating that resin will be released. Spread Slender trunk of one-half to one meter. Crown of tree is 3.5 to 4.6 meters. Ethnobotany Resin is collected for use as an adhesive by Na'vi.